After substantive discussion over the last day, we have agreed that the provisions relating to any changes in the state’s open records law will be removed from the budget in its entirety. We are steadfastly committed to open and accountable government. The intended policy goal of these changes was to provide a reasonable solution to protect constituents’ privacy and to encourage a deliberative process between elected officials and their staff in developing policy. It was never intended to inhibit transparent government in any way. In order to allow for further debate on this issue outside of budget process, the Legislature will form a Legislative Council committee to more appropriately study it and allow for public discussion and input. These creeping fascists cannot be trusted with governing. They are the most deceitful, lying, divisive, vindictive, least educated group of fools that have held higher office in Wisconsin in modern history. This was their Independence Day gift to Wisconsin as they continue to rob citizens of hard won freedom and rights, and loot from the taxpayers, public workers, education for their pay to play scam called WEDC and tax breaks for the powerful and wealth class. That is changing the subject Paul. This is about Scott Walker and legislators in Wisconsin. Please try to stick to the subjects. Wisconsin’s Republican Governor and Republican Legislators who work to keep Wisconsinites ignorant on who is responsible for toxic legislation shows a total disregard and respect for we the people. We want open and transparent leaders who are willing to allow their legislative efforts be done in sunshine, not under the cover of darkness. For shame…Wisconsinites deserve better than this! And Clinton is your go-to. You always bring her up. It seems quite obsessive. PMD, do you hold her to any standards? It’s not over yet. Walker and the GOP will find a way to hide what they’re doing. In terms of transparency, or are you speaking generally? It’s sort of a vague question. Walker must be shaking in his shoes! There are probably more skeletons in his closet. Mr Teflon has been lucky so far. Karma is catching up with him. He and his cabal really did themselves a disservice this weekend. They thought no one would notice on a long holiday weekend. Social media was smoking! He said he would address it Monday, but didn’t wait. They had to stop the hemorrhaging, they were all on life support. This won’t look good for Walker’s POTUS run. It will come up among a lot of other things .And, we WILL be watching! Well yes I hold her to standards. Do you hold Walker to any? I don’t get what your point is. That if Clinton does something then it’s OK for Walker to do it? Two wrongs make a right? 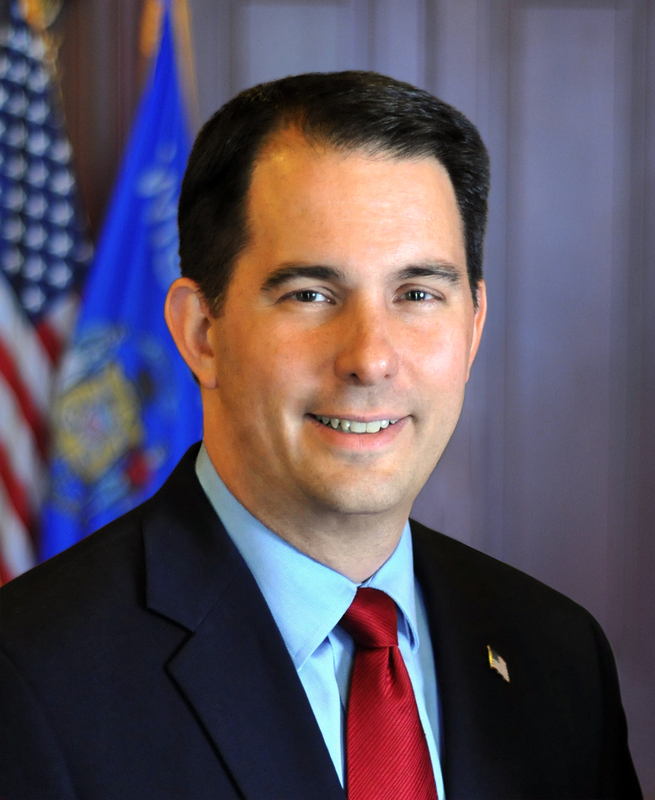 PMD, My point is, and you knew it already, while Walker has been fully investigated through the media and the John Does he has been found of no wrong doing, at the same time Hillary destroys evidence and the media is silent. Glad you at least admitted she did something wrong, baby steps, we’ll get you there. The media is silent? That’s just completely untrue. I can’t even begin to count the number of stories I’ve read about Clinton and her emails. I’m glad you admit that six people who worked for Walker were convicted and that Walker knew about the secret email system. Lack of a conviction of Walker hardly proves he is innocent of wrongdoing, and for you to admit that is progress for you. We’ll get you there. PMD, Why do you resort to lying, six people that worked for Walker have not been arrested let alone convicted, Walker did not know of the secret email system. So obviously I never admitted to something that never happened. Not sure where you get your”facts” from. I certainly know where yours come from Paul: talk radio and Fox News. Your response is predictable and expected. I’m sure you’d claim Reagan was the worst president in the history of the country before you’d say Walker did something, anything wrong. Is it hard to see when your head is so far up you know where? PMD, prove your point then and name the six Walker workers that were convicted and the positions they held.